That’s the first paragraph of John Hersey’s Hiroshima. You can read it in full here. Seventy years ago today the Enola Gay, a B-29 within the Army Air Force of the United States of America, dropped the first of the only two nuclear weapons ever used in war. About 200,000 children, women and men died in the attack. Almost all of them were civilians. I’m not going to add any political notes to that bald statement of fact. There are some to be made, particularly at this precise turn in US decision making. 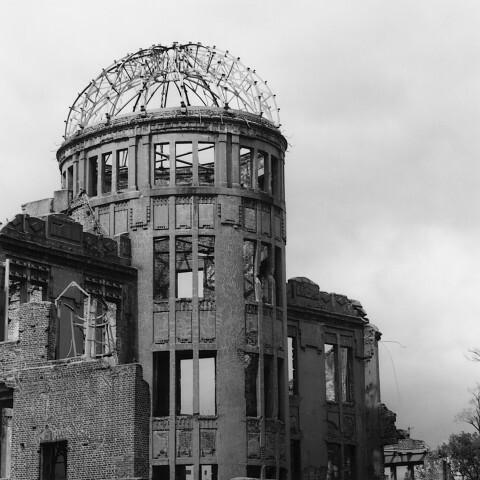 But those who died seventy years ago when Little Boy hit Hiroshima, and then again, three days later, when Fat Man destroyed Nagasaki, deserve attention uncluttered by the noise of the moment. The extraordinary power of human reason exposed the fundamental behavior of matter at the level of neutrons and protons — and from that gorgeous insight drew disaster and woe and the ruin of two cities. That’s what I’m thinking about right now. The rest can wait.